2002 – In the month of December, the company started getting positive in their cash flow. 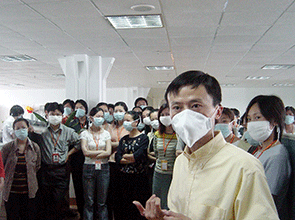 2003 – The country was suffering from the SARS epidemic this time. But despite of the fact, Jack Ma motivated the employees well and this led them to stand strong against the crisis. Also, in this situation, Taobao marketplace, another shopping website started up again in the apartment of Jack Ma. 2004 – The year 2004 brought a number of success stories for the company. In February, the company raised an amount of about US$82 from various first tier investors in the Internet sector. A Summit was organized in the month of June for the Internet entrepreneurs. In this summit, 10 first entrepreneurs were honored for the year. This was the year when the company took two major steps. It introduced Aliwangwang, an instant messaging tool, for the website of Taobao Marketplace. Also, Alipay, a third-party payment solution associated with Alibaba came up. Finally, this year the company celebrated their fifth year anniversary in a festive way. 2005 – After the group celebrated its fifth year anniversary, Alibaba came up in a partnership with the Yahoo in August 2005 and finally in the month of October in the same year the group took control of the China Yahoo operations. Soon, the group launched the program for Taobao University and started providing education and training related to e-commerce for sellers and buyers. 2006 – November 2006 was another milestone in the history of the company. The set up for the public offering of the Hong Kong Stock Exchange Main Board was complete. Also, Alimama was launched that is an online platform for marketing technology. CEO of Alibaba, celebrates at his company listing ceremony at the Hong Kong Stock Exchange. 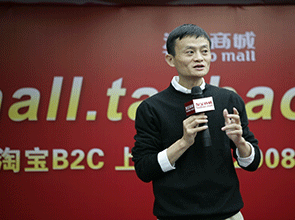 2008 – It was this year when Alibaba group introduced the Taobao Mall or better known as Tmall now. This was done to offer a platform dedicated to the third-party retailers and brands and was support for the Taobao Marketplace. After the introduction of the Tmall in the month of April, Alibaba came up with R&D institute in the month of September. In the same month by next year, the group came up with Alibaba Cloud as a part of their 10th-anniversary celebration. In the same month, the group got acquisition of the leading internet service provider of China, HiChina. 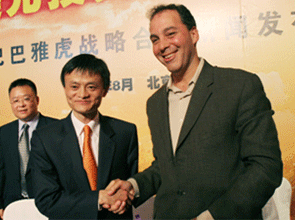 2010 – By this year, Alibaba came up with a number of new additions. In the month of March, the China Marketplace’s name was changed to 1688.com, and the Taobao Marketplace launched a marketing platform named as Juhuasuan, for various flash sales. Same year by the month of April, AliExpress started that helped various Chinese exporters to deal with the worldwide consumers directly. During May’2010, Alibaba stated that it will spend about 0.3% of their total revenue on environmental awareness and also its conservation across the world. During the months of July and August, Auctiva and Vendio became the e-commerce solutions for the small businesses of the U.S. By this time itself, the mobile application of the Taobao Marketplace is launched. Again in the month of November, One-Touch is acquired for the Chinese exporters. 2011 – This was the year when Tmall came up as an independent platform in the month of June and again Juhuasuan came up as an independent platform in the month of October. In the month of December, the Alibaba Foundation started to contribute to the social causes also. 2012 – Soon, by the year 2012, the group repurchased the shares from Yahoo. 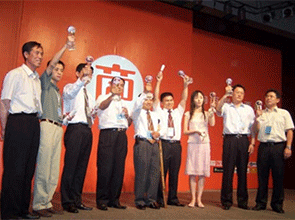 2013 – By the month of May, the Taobao Marketplace celebrated its 10th anniversary with a gathering of employees in Hangzhou. In the same year, during the month of May, many other logistic companies set up Cainiao Network. By July 2013, Alibaba group came up with the Alibaba Smart TV Operating System. Soon in the month of August 2013, the campus of the group got relocated to the Xixi District of Hangzhou. The group launched Laiwang or now known as DianDianChong, a social networking site by September 2013. 2014 – It was after the year 2013 when the Alibaba group started taking huge leaps and tasted some of the major developments in its field. It started the international brand sections with the help of the Tmall Global extended from Tmall in February 2014. Again it was by June 2014 when the group came up with the integration of UCWeb, the mobile browser company. The Alibaba Sports Group came up with Yunfeng Capital and Sina Corporation. The very next month Alibaba Group came up with Suning to work on e-commerce, O2O initiatives, and logistics. Also, this month, Alibaba Cloud planned for the setup of an international headquarters for the same in Singapore. The next month, The Alibaba Sports Group came up with Yunfeng Capital and Sina Corporation. Youku Tudou entered a merger acquisition with the Alibaba Group in the month of November of 2015. Also, in the same month, the group launched the Alibaba Entrepreneurs Funds in both Taiwan and Hong Kong. By the end of the year, in the month of December, the group came up with an agreement for South China Morning Post. 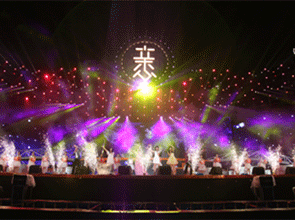 2016 – The year 2016 started with the shopping festival of Ali Chinese New Year for the Alibaba group. Soon, the month March brought some great news for the group. Alibaba became the world’s largest economy with a merchandise volume of about RMB3 trillion in the retail marketplace of China. The following month, the group also got a stake in the Southeast Asian e-commerce platform Lazada. In the month of May, the group started the AGLA program for training the future leaders. The month of July brought in a number of events and activities for the group. Alibaba introduced OS’Car, an internet car, along with the SAIC Motor Corporation. Also, the Alibaba Foundation organized the conference for Inaugural Xin Philanthropy. Also, in the same month, the group showcased various creative designs and ideas from Taobao merchants for the world through Taobao Maker Festival. Jack Ma envisioned the idea of the Electronic World Trade Platform in the month of September Roberto Azevedo, the Director General of the World Trade Organization supported it. In the month of September, the Alibaba Digital Media & Entertainment Group is planned. The opening of new data centers was announced by the Alibaba Cloud at four different places and these are Tokyo, Sydney, Frankfurt, and Dubai. The Hong Kong Entrepreneurs Fund launched Jumpstarted 2017 soon. In collaboration with HKSTP and Cyberport, the launch gave way to the largest competition for start-up. 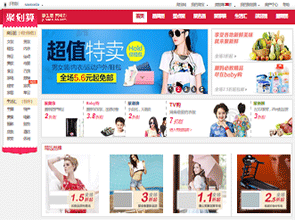 Tmall World, in the same year, started to serve the Chinese market across the world. The stake in Lazada increased from 51% to about 83%. Hema supermarket came up in the month of July. During the month of August, a joint venture started with the Marriott International for the Chinese consumers. Also, the group upgraded the loyalty programs for both Tmall as well as Taobao. Alibaba DAMO academy launched along with a new data center in Malaysia in the month of October. By 2017, the Alibaba Group came up with some of the major future plans. Alibaba Group collaborated with the International Olympic Committee and announced a partnership that will go till the year 2028. Also, the group collaborated with Malaysia Digital Economy Corporation to have plans for the establishment of the first e-hub overseas. Jack Ma did put all of his efforts in the success story of the group. The group started from the apartment of the founder Jack Ma and it continued soon to become the largest retail platform of the world at the moment. Recently, Jack Ma has shown a lot of confidence in the successful and profitable future of the group. He joked in a conference that he does not wish to get retired in the next 10 years and he sees a lot of success of the group in the next 20 years. As per Jack, when someone loves a company, it is important to let it go with the flow and this is the best way how it can achieve great success. Presently, Jack Ma has both a short time as well as longtime aims. By the year 2019, Jack Ma hoped to cross about $1 trillion. If talking about the long-term aims, Jack Ma is hoping to serve as many as about 2 billion customers by the year 1936 worldwide. On the Alibaba investor Day, many of the investors and analysts such as Temasek and Black Rock came up together and this again is a great sign for the group. The website of the Alibaba Group currently enjoyed a great revenue increase of about 61%. 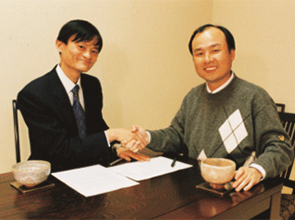 Who does not know about the Alibaba Group today? Jack Ma along with many other founders did a lot of hard work to make the group renowned and successful not only in China but also throughout the world. The fame of the group is still continuing and Jack Ma has also spoken about it and hopes that there is a long way to go and they have a great success plan for the future ahead.